I haven’t been posting much about Cardfight Vanguard lately. They actually had an interesting arc in which Aichi lost control of himself and became a bit of a monster. I enjoyed that because it was quite a shake-up from the earlier episodes, both in terms of Aichi’s character, and the general tone and focus of the series. With episode 50 that arc seems to have come to a close. I believe the next part will be the National championship. 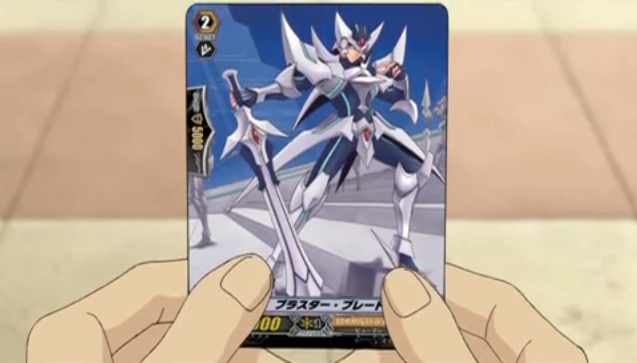 Blaster Blade, Aichi Sendou's avatar, and lynchpin of the Royal Paladin deck. 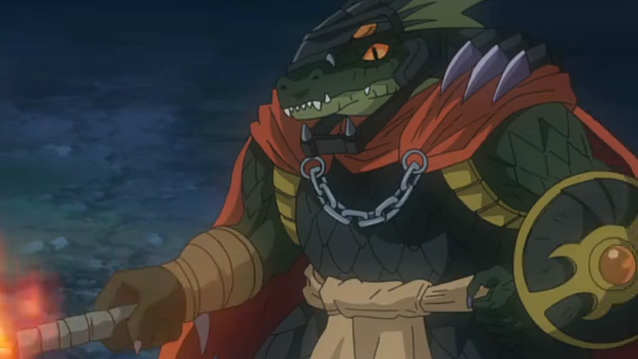 What really spurred me to write this entry, however, was the release of the English version of the Cardfight decks. There is now an English language Vanguard website, and I recommend checking it out if you are confused about how the game works, as they have straightforward explanations of the mechanics, and many of the cards you see on the show are completely described. At the moment there are two starter packs available, one based on Aichi’s Royal Paladin deck, and one based on Kai’s Kagero clan deck. There is also one booster pack that has a variety of clans represented. I found looking over the battle pack very revealing. For example I discovered that Battle Sister Chocolate is in the Oracle Think Tank clan, and there are at least two other “Battle Sisters”, Mocha and Cocoa, even though Chocolate seems to be the only Battle Sister that gets used in the anime. I guess it is because Misaki is the only one who regularly plays with an Oracle Think Tank deck.